Just back from St. Pete Beach, Florida, where we had the most delightful stay at the Postcard Inn, right on the beach (more in stories to follow). The Gulf Coast beach is as beautiful as ever. 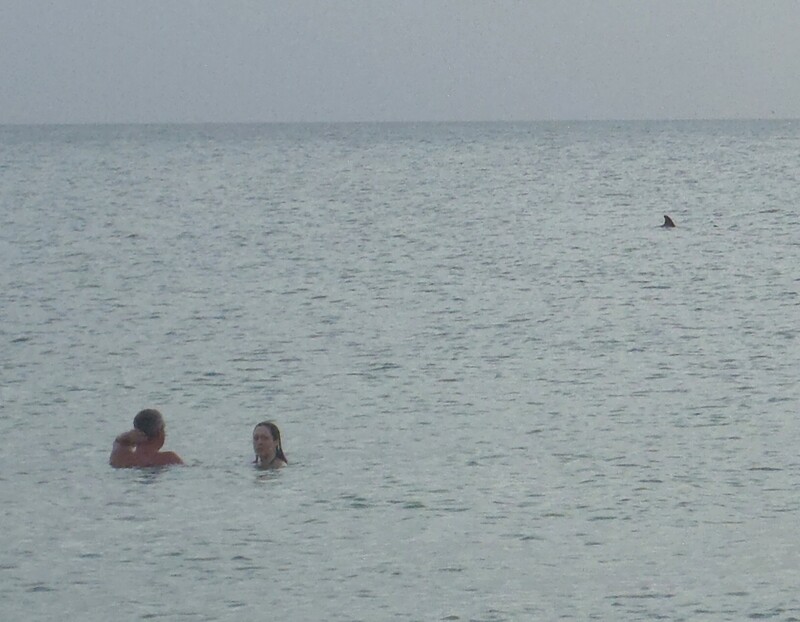 One evening, as we were awaiting the nightly spectacular – the sunset – we saw a pod of dolphins swimming past just beyond where the buoys marked the edge of swimming area. Brown pelicans were diving for fish just near where we were swimming. From our room at the Postcard Inn on the Beach, chic, remodeled 1950s-era motel with the charm of an inn and the amenities and service of a boutique hotel, we stroll out to the beach. (More on the Postcard Inn, 6300 Gulf Blvd, St. Pete Beach, FL 33706, 727-367-2711 main line, 800-237-8918 reservations, www.postcardinn.com, to follow). There are scores of phenomenal beaches all along this spit of Florida, between St. Petersburg Beach, with Fort DeSoto (you can visit the Spanish-American War era fort) and Pass-a-Grille which is a quaint, historic village with what I considered the most beautiful, white-sand beach of all, at the southernmost point, up through Treasure Island, Indian Shores, Clearwater Beach, Caledesi Beach, and Tarpon Springs. A delightful way to visit is by the trolley bus that goes from Pass-a-Grille in the south, up to Clearwater Beach. 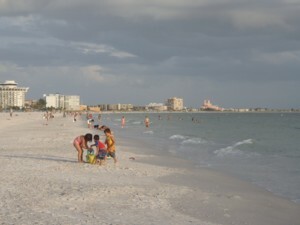 Pass-a-Grille turned out to be one of our favorite places to idle away. You follow Gulf Boulevard passed the famous “pink castle” of St. Pete Beach, the 1920s era Don Cesar hotel, and find yourself in Old Florida – charming houses lining a narrow street that ends in a historic village. Four miles of undeveloped public beach along Gulf Way on the Gulf of Mexico wrap around the end of the key to meet Boca Ciega Bay on the harbor side of Pass-a-Grille. You can go on a shelling or snorkeling excursion to Shell Key, watch the dolphins play; or enjoy gentle sea breezes on a sunset cruise. Take a stroll on 8th Avenue, where you’ll find galleries, boutiques, and restaurants and an adorable ice cream shop, Paradise Sweets. To plan a trip, contact St. Petersburg/Clearwater Area Convention & Visitors Bureau, 13805 58th Street North, Suite 2-200, Clearwater, Fl 33760, 727-464-7200, 877-352-3224, http://www.visitstpeteclearwater.com/.